Since 1990, the Consorcio del Jamón Serrano Español has been the Association uniting the main Serrano ham producers-exporters in Spain. To independently guarantee product quality is the fundamental guiding principle of this group. Via continuous inspections and audits, each production plant is strictly assessed in order to verify that they comply with optimum hygiene standards. At the same time, control of the raw materials, the manufacturing process and the most significant part, the finished product, is carried out. 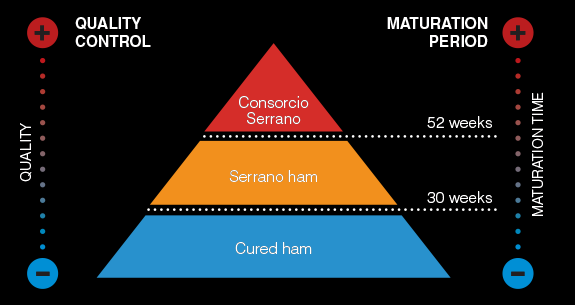 What guarantees a Consorcio Serrano Ham? The Quality Control Department of the Consorcio del Jamón Serrano Español, via quality control and selection piece by piece, seeks to guarantee a product that not only is of high quality but is also homogeneous, with a unique texture, smell and taste that identifies genuine Spanish cured ham as remaining constant over time. 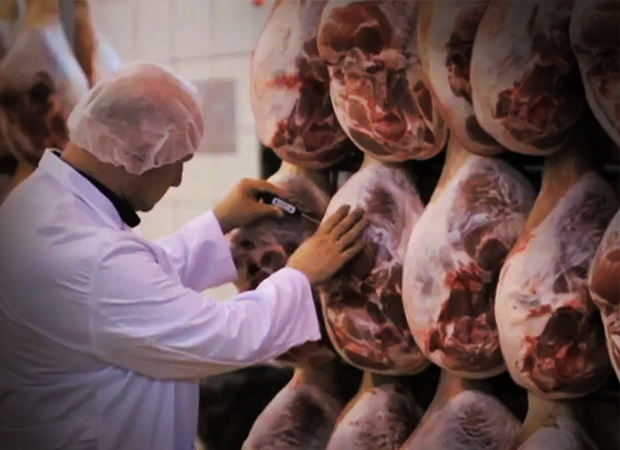 Ham is a very complex product and it is difficult to guarantee its ultimate quality. Therefore, the final selection of each piece is our secret to ensuring a homogeneous and standardised product in all the Consorcio Serrano Hams. 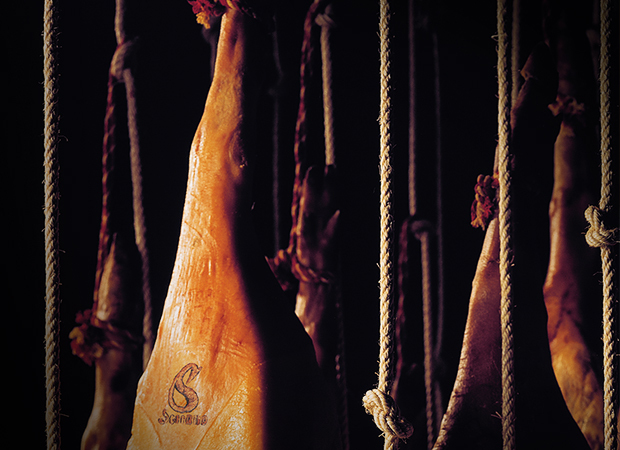 Only a limited amount of Spanish Serrano Hams are worthy of the “Exclusive Signature” or Consorcio Serrano Quality Seal. 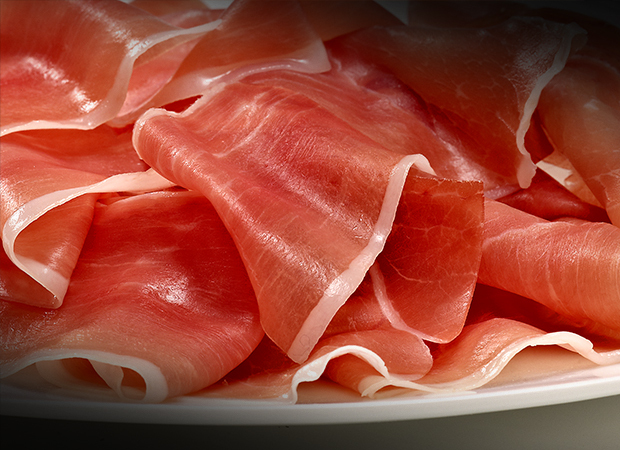 The production process of Serrano ham takes place exclusively in Spain. 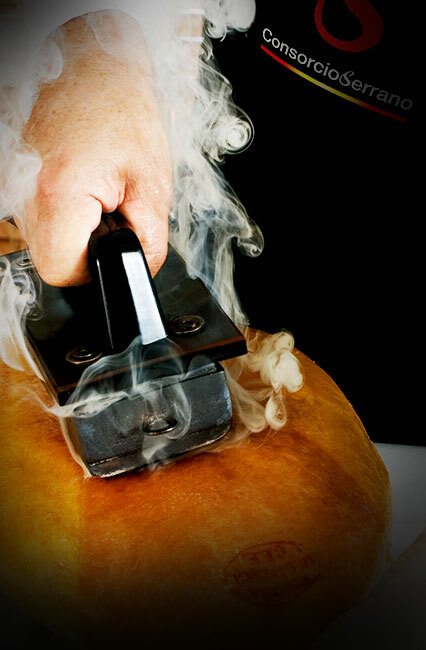 European TSG (Traditional Speciality Guaranteed) certification, which protects the “Jamón Serrano” designation. Average maturation of 12 months (minimum maturation time: 52 weeks). 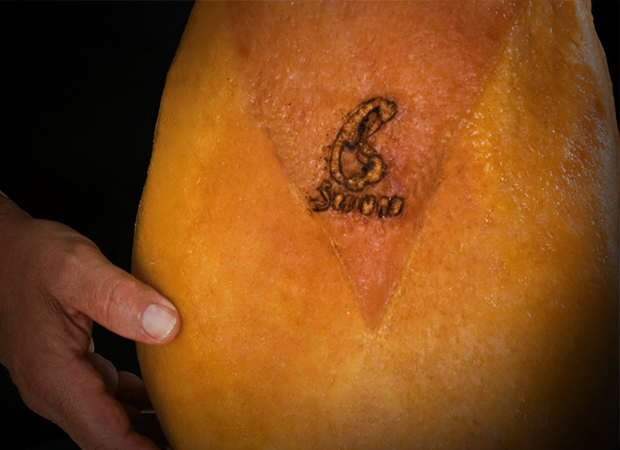 Quality guarantee on each piece of Serrano ham using a numbered control label. Therefore, the final selection of each piece is our secret to ensuring a homogeneous and standardised product in all the Consorcio Serrano Hams. 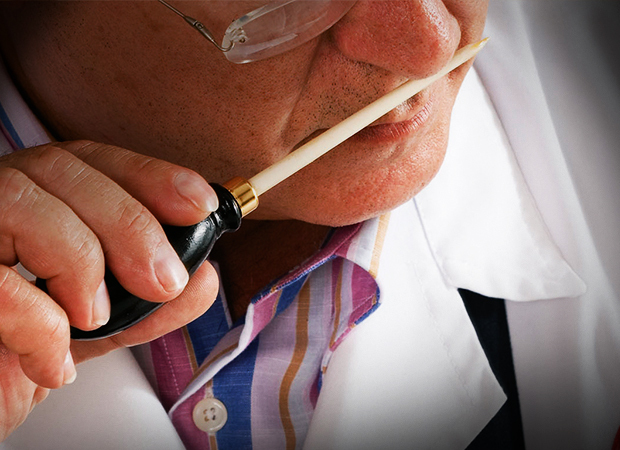 Origin of the designation Traditional, historic character, with a private quality label. Quality countermark Fire seal on the final product (whole piece). Numbered control label. Logo of the Consorcio del Jamón Serrano Español. Generic European TSG (Traditional Speciality Guaranteed) distinctive sign. Scope of legal protection In all of the EU and as a registered trade mark in most countries. Origin of raw material (fresh/froze ham) Only Spanish. Required minimum maturing period 52 weeks, verified by periodic inspections (365 days). (Verified average of 56 weeks). Fat content (fat thickness at the confluence of the knuckle and the hip) Minimum 1 cm. In addition to assessment of the fat content of the piece as a whole at the time of inspection. Presentation as the final product Whole ham (with foot and without foot). All modalities in boned presentations. Semi-boned. Sliced. Control system Product certification by accredited organization EN-45011. Periodic auditing of the CORSORCIO SERRANO process at each production plant. Final inspection of product, PIECE BY PIECE. Pieces controlled for exportation Estimated 750,000 annually. 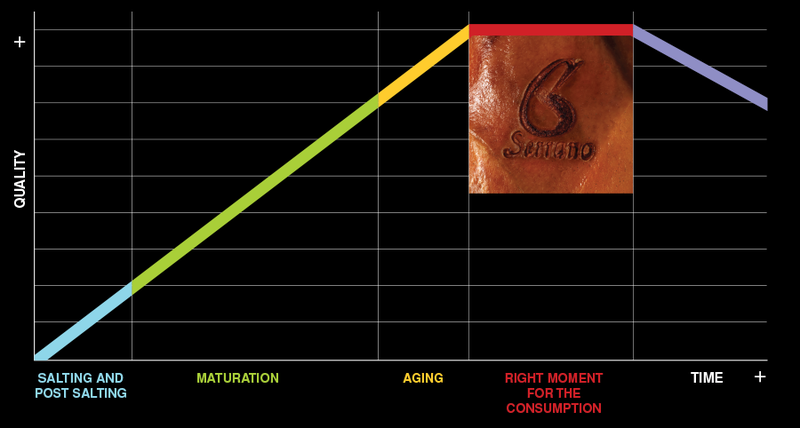 There is a large variety in the quality of Serrano ham. The Consorcio del Jamón Serrano Español is the association of Spanish producers of Serrano ham that has guaranteed quality with their control seal since 1990. 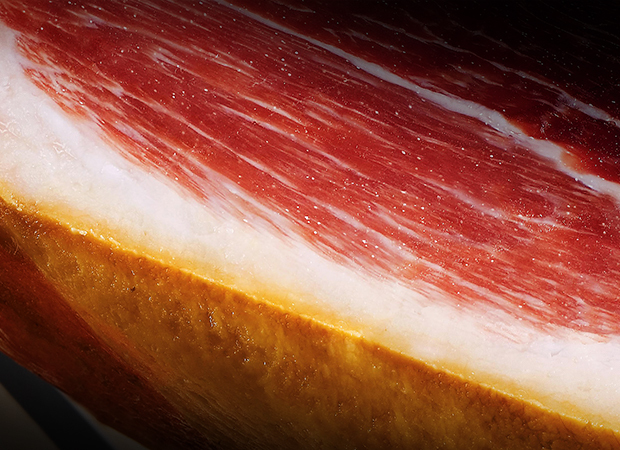 100% Serrano ham from Spain, matured for an average of 12 months. Traditional Specialty Guaranteed (TSG)Ham of “specific character” that distinguishes it from other similar products of the same category and its method of production or transformation is “traditional”.